The Primer is back, unexpectedly as it may be, to cover little known 90’s UFO series and X-Files coattail rider, Dark Skies. Set in the 60’s with the backdrop of the cold war ever-present, Dark Skies poses an alternative to what you thought you knew about that time. But is being a period piece and limiting yourself primarily to UFOs instead of the SFF kitchen sink approach enough for this series to stand on its own, or was it right to be so quickly forgotten? It’s time to find out. 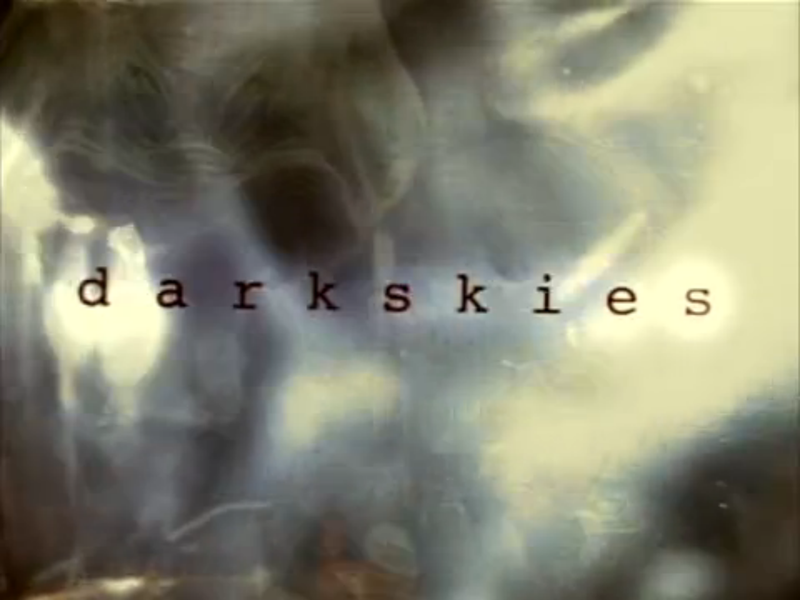 Dark Skies, setting aside its cliche and uninformative title for a moment, was an NBC series that debuted in 1996 as an explicit attempt to cash in on The X-Files‘ popularity. Playing “follow the leader” is rarely a winning formula for television; after all, anything worth copying is already doing pretty well, clearly, and hewing too closely to its path can lead to complaints of ripping off the original show, or possibly even legal threats (just look at the controversy between Deep Space 9 and Babylon 5, for example). Going the other way, however, is just as dangerous, as you may end up cutting the very thing which drew fans to the leader in the first place. That’s why, generally speaking, it’s best to look for a closely related niche to fill, if you’re dead set on attracting that audience. Dark Skies attempted this strategy by making their show a period piece, set in the 1960’s, right around the time of many critical events within the traditional UFO/conspiracy “lore.” While this certainly helps to distinguish it, one can’t help but feel a bit like the whole thing has a foregone conclusion; Dark Skies doesn’t so much offer an alternate history as it does a “Secret History”–bouncing around from important event to important event from the ’60s showing what really happened and how yes, even the Beatles were hijacked as part of the alien conspiracy. Eh, protagonists. Let’s just look at Jeri Ryan instead. Speaking of our protagonists, the show mostly follows John Loengard, a young man recruited into the the Majestic-12 program against his will, and his fiance Kim Sayers, who doesn’t really have much choice but to be dragged along when John opts to rebel against Majestic while still seeking the truth of the alien invasion that has been taking place since Roswell, 1947. Majestic is primarily represented by its leader Frank Bach (played by J.T. Walsh, a legendary character actor who died a few years after the show ended), but we do see some other recurring characters, by far the most notable of which is Juliet Stewart, a Russian working with MJ-12, played by a just-barely-before-Voyager Jeri Ryan. Roswell, Majestic-12, Project Blue Book–if you recognize these names and enjoy the UFO lore that’s built up over the years around them, it might be worth a watch on that aspect alone. As a writer, I can definitely understand the appeal of the UFO mythology in terms of the story possibilities it offers, and given how it arose, there’s no one you have to worry about paying royalties to. And, some poor choices (BEATLES) aside, it does weave in real life historical events decently well; I’m sure this isn’t the first piece of fiction to posit that the Kennedies had a connection to aliens, yet I can’t help but wonder how their still-living relatives might feel about it. No surprise, to me at least, but Jeri Ryan is definitely the highlight of the show. She doesn’t show up for quite a while, however; her first appearance is episode 13 of a 20 episode series. You can see many of the mannerisms that would later come into play in her performance as Seven of Nine start to show up, since the cold nature of a spy has quite a bit in common with her. Even the ’60s “up”-style hairdo is sorta similar to how she typically wore it on Voyager. I certainly didn’t expect her to get as much screen time as she did, but the fact that a character with a Russian background seemed more likely to do the right thing than her American colleagues made for an interesting contrast with the Cold War tensions often in the background. On the subject of performances, J.T. Walsh is also great as a shadowy government figure who’s utterly convinced he’s doing what’s necessary, regardless of how it might look. I think the character, who’s written to be almost too trusting of Loengard despite repeated backstabbing, would have completely fallen apart in the hands of a lesser actor. Their take on the alien threat is pretty typical, and perhaps too much like that of The X-Files, but doesn’t bear much to complain about. The effects are just awful, through and through. Knowing that this was on the air the same time as Voyager just completely removes any excuse they might have to justify it. Bad puppetry, bad props and effects… they might be the most authentically ’60s-grade stuff on the show. While John and Kim are okay, they certainly aren’t as endearing protagonists as Mulder and Scully. Their actions don’t always make much sense, both individually and as a pair, and if Bach behaved the way most Intelligence Agency operatives would, he’d be dead a dozen times over by episode five. They just don’t feel like characters capable of pulling one over on the US government of the 1960’s, much less a more modern version. Anyone with a knowledge of history is gonna know what happens in each episode from the moment the historical-figure-of-the-week shows up. JFK’s assassination, Jack Ruby, the Warren Commission and J. Edgar Hoover are just a few of the things that play a role early on, and given the premise of the show it’s not hard to work out how it’s related to the alien invasion plot. It’s not totally predictable, but it does get a bit eyerolling when everyone who promises to help John and Kim is inevitably going to die soon. The ending has some degree of closure, but leaves a lot out there, including the main plot of the invasion. Dark Skies apparently had a 5 year plan, covering a decade or so of history each season until reaching the near-future, at which time the fight for Earth would be on. Of course, that never happened, so it’s left as a ’60s period piece. 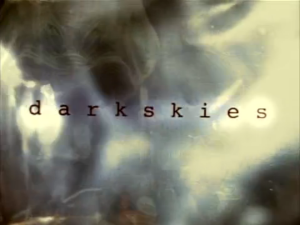 Overall, Dark Skies was probably the most mediocre show in the primer to date. Nothing it did was really standout or original. When I first heard about it, I had hoped there might be a little bit of James Bond-style gadgetry, but it doesn’t even really have that to fall back on (and I’m not even sure why I thought that, honestly). If you just want to check it out for Jeri Ryan, then just skip ahead to her first appearance. A quick reminder of my rating system: a 5 represents must-see–a “hidden gem,” as it were. A 4 is good, solid television. A 3 is “cult classic” stage, where the show’s appeal is likely limited to a specific group. A 2 is flawed, but fun, or even “so bad it’s good,” depending on the series and its release timeframe. A 1, of course, is avoid at all costs. Dark Skies was rather hard to find; part of the reason it took me so long to post this is that I only got the first half and struggled to find some way to watch the ending. Without any streaming services to fall back on and taking its mediocre nature into account, you could hardly be blamed for just passing on Dark Skies all together. Have any suggestions? Or are there any little known shows you’re a fan of that you’d like me to cover? Leave them in the comments, or send a tweet to @RetroPhaseShift. Consider joining the mailing list to be notified of future Primers, and to gain access to the exclusive short Unjustified Nostalgia. Alternatively, if you’d like to read a little more of my writing, you can check out my latest book, The Resonance Enigma, or previous novels The Arcology and Eidolon. Woah, the plan was to cover a decade per season? I wonder if they were going to switch out the main characters or what.